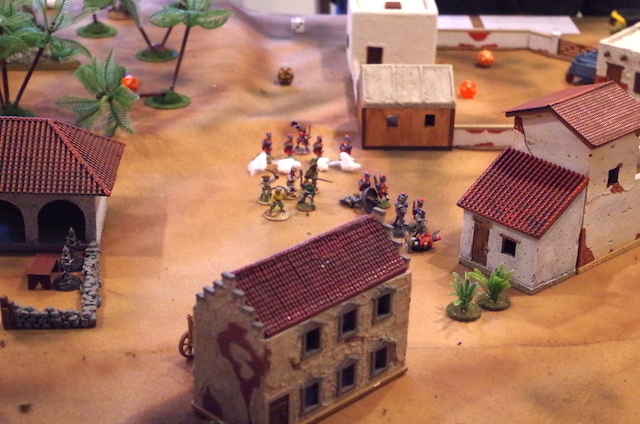 Sunday play tests for Fall In and other stuff | H.A.W.K.S. This weekend I had a chance to do some gaming and also do a little painting. Greg found something called the “rust bunker” in MDF from a company, called Impudent Mortal. 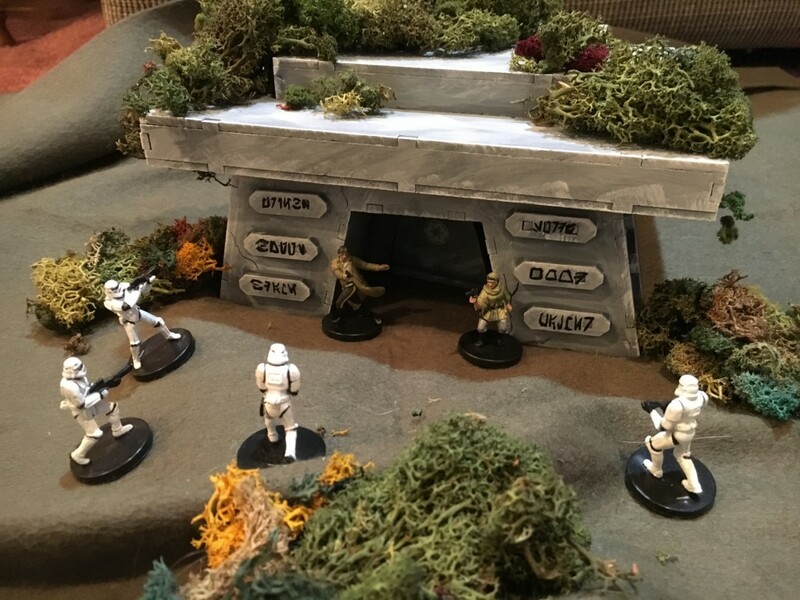 Instead of painting it in post-apocalypse rusted metal, I painted it in gray to be a bunker in some Star Wars games. Greg turned me onto this company. They are Eastern European. 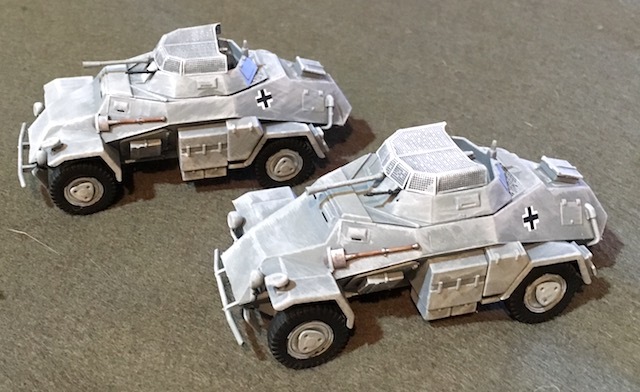 They seem to make mostly 1:48 scale airplanes, but they have a handful of 1:48 scale German vehicles. 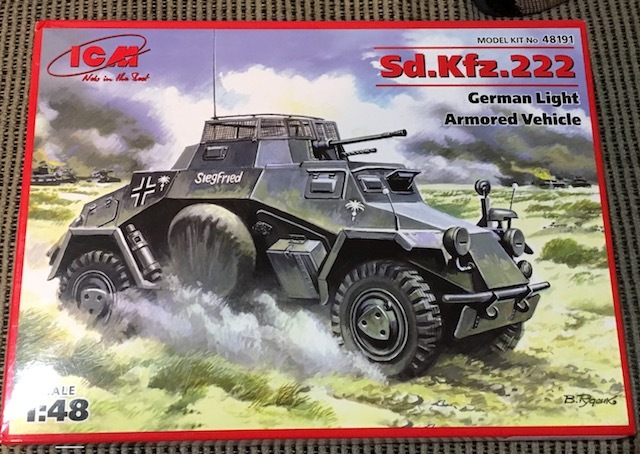 I picked up two of these SdKfz 222′s. They are pretty simple kits, but the plastic is a little brittle. I broke some of the parts just snipping them off the sprues. The decals seemed old, and they tore easily. The final outcome was pretty good, however. 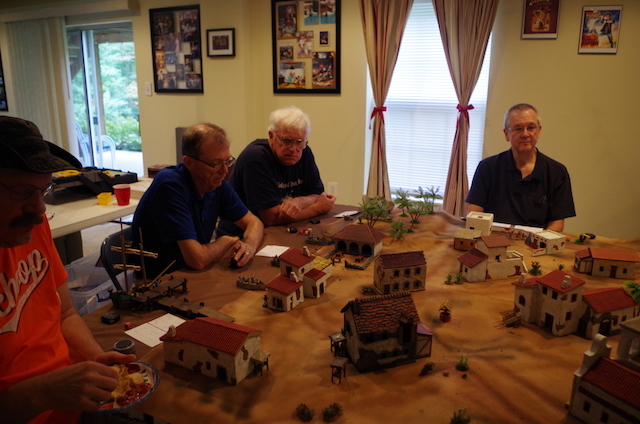 We also got together to plan this year’s HAWKs Armies for Kids project and to run two play tests for HAWKs games at Fall In! 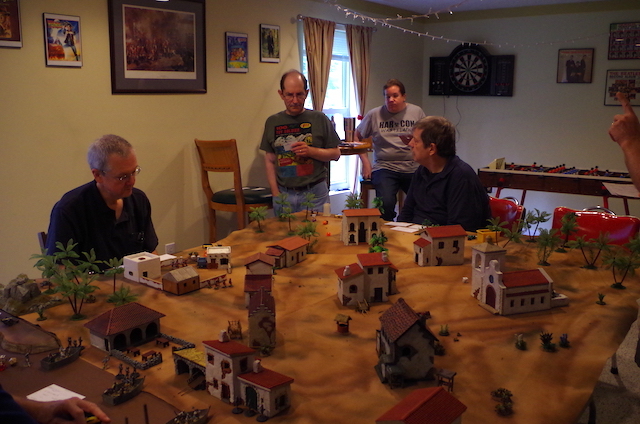 The first game was Chris’ Dr. Who game involving 18th century pirates and cyber men. The mission of the pirates and cybermen was to kidnap townsfolk to turn them into more cybermen. Meanwhile the Doctor was running around town looking for the stuff he needed to invent a weapon to defeat the cybermen. 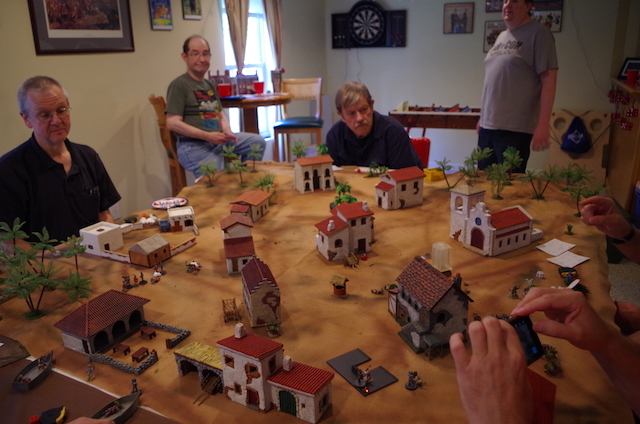 After the Dr. Who GASLIGHT game, we cleaned up the troops, reset the town, and prepared for Dave’s WWII Combat Patrol™ game involving American paratroopers fighting Germans. I was playing in this game, and I forgot to take pictures. Rob (on the left in the above picture) had a squad of Americans that quickly got the upper hand against my team of Germans defending the wall. I never quite recovered, and I was eventually wiped out. In the meantime, the rest of the Germans moved toward the buildings we were supposed to stop the Americans from capturing. We did pretty well, but in the end, the game was judged a U.S. victory. After most of the folks left, Dave and I spent an hour or so working on spotting rules for Look, Sarge, No Charts: Science Fiction. 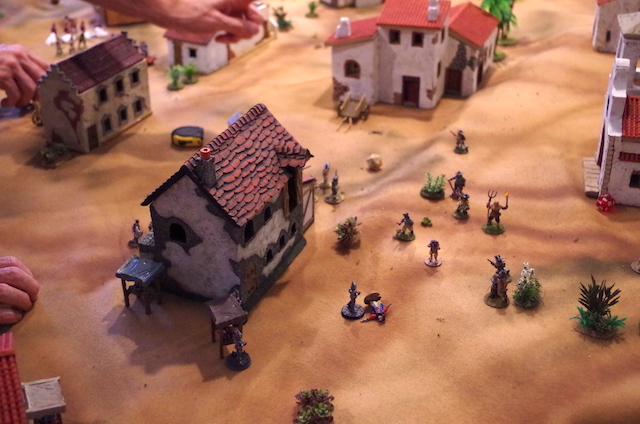 We made good progress on the spotting rules — enough that we are ready to put troops on the table soon for a play test. Love the bunker and the vehicles,…must resist urge to buy!